PORTLAND, Ore. (AP) — A jury is deliberating whether an FBI agent lied about firing shots at a militia leader who participated in the armed takeover of an Oregon wildlife refuge. Prosecutors and defense lawyers for W. Joseph Astarita made closing arguments and that a jury of three women and nine men began deliberating Thursday afternoon, the Oregonian/OregonLive reported . 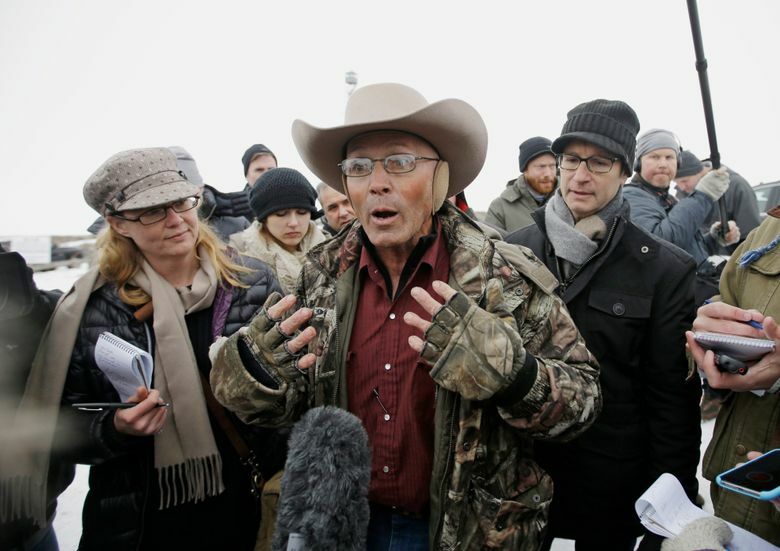 Astarita is charged with making false statements and obstruction of justice after telling investigators he did not fire two shots that missed Robert “LaVoy” Finicum, a key figure in the group that seized the refuge in 2016 while protesting the imprisonment of two ranchers. Astarita pleaded not guilty and denied firing the shots. Assistant U.S. Attorney Paul Maloney argued Thursday that Astarita was a rookie on the elite Hostage Rescue Team who panicked and fired as Finicum came close to running over his teammate at a police roadblock. Astarita then lied to conceal that he didn’t hit his mark on Jan. 26, led by his ego and bravado as a “super agent,” Maloney said. The alleged shots came as authorities tried to arrest Finicum. One shot hit the roof of the truck and the other went astray as Finicum stepped out of his truck, his hands in the air, investigators said. Oregon State Police fatally shot Finicum seconds later. Defense lawyer David Angeli countered that the government presented no witness over 11 days of Astarita’s trial who either saw or heard Astarita fire shots the day that state police and FBI agents arrested leaders of the takeover of the Malheur National Wildlife Refuge in eastern Oregon. Prosecutors also provided no forensic evidence that proved Astarita discharged his Colt AR-15, Angeli said. Astarita had no motive to lie since he’d been told that the Deschutes County district attorney had found all shots fired during the arrests to be justified, Angeli said. Defense lawyers also said an unidentified state police SWAT officer could have taken the shots.